which is your favourite out of this? Where can I buy good Fushigi Yuugi products besides off the internet? do you know where the dvd can be bought? tnx! 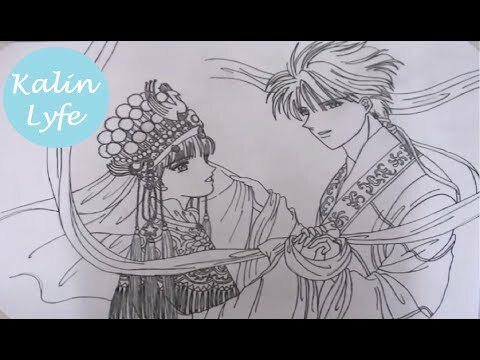 His image had changed since the beginning of the story.He didn't know what love was until he found Miaka,it was in that moment when he first felt that kind of feeling...she was his first love! Before I became a mangaka, when I was 18 years old,at the time of "Heart ni Houseki", I used to draw Tamahome. When I found that notebook,the character reborned after so long. He's a guy hard to describe and by the other hand he seems to be a young sad boy with issues. His image is the one of a strong but fragil guy. By protecting someone,he also protects himself. The Genbu constellation that had a lot popularity: Hikitsu and Tomite. Especially Tomite. Miaka take clothes into the book, what about Yui? Yui is a skilled girl, surely asked for silk to make her own underwear! And I think she wash her uniform every night. What's the Kodoku made of? Isn't it unfair that Miaka has to find her constellations on her own, and in Yui's case her constellations reunited by themselves? Who was the translator of the SHI JIN TENCHI SHO?